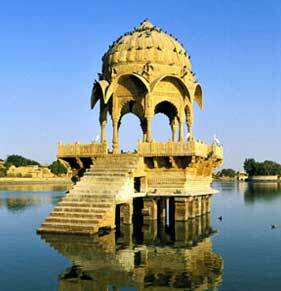 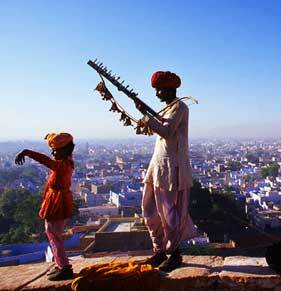 Rajasthan is situated in the north-western part of India. 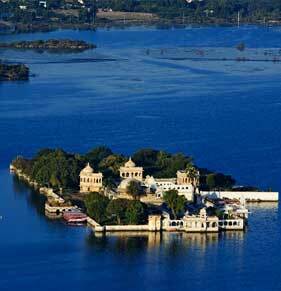 It covers 342,239 square kilometres (132,139 square miles). 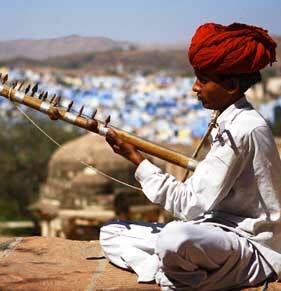 Rajasthan lies between latitudes 23 degree 3'and 30 degree 12', north and longitudes 69 degree 30' and 78 degree 17', east. 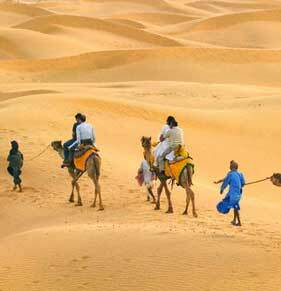 Compared to many countries that are located in a similar latitudinal belt, such as in northern Arabia, Rajasthan has a less harsh climate. 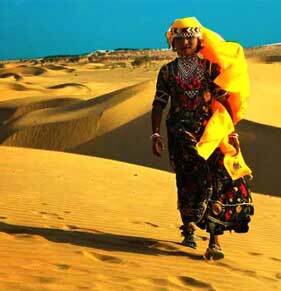 The State's scorching and dry summers and its parched landscape is undergoing significant changes because of the developmental effort that have led to the spread of the Indira Gandhi Nahar. 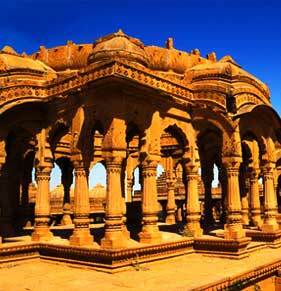 The southern part of Rajasthan is about 225 km from the Gulf of Kutch and about 400 km from the Arabian Sea. 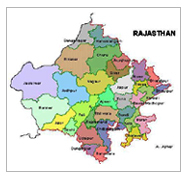 Rajasthan is bounded by Pakistan in the west and north-west; by the State of Punjab in the north; by Haryana in the north-east; by Uttar Pradesh in the east, by Madhya Pradesh in the south-east and Gujarat in the south-west. 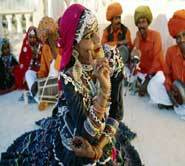 There are 32 administrative units, Districts, in Rajasthan. 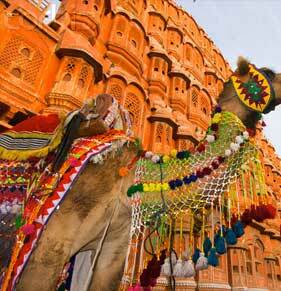 Jaipur is the Capital of the State. 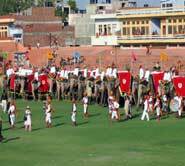 The Congress party has been elected to power. 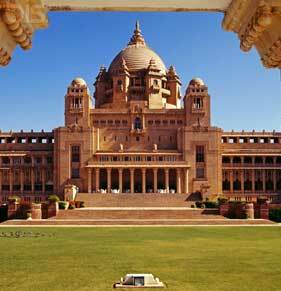 The High Court is situated at Jodhpur, with a bench at Jaipur.